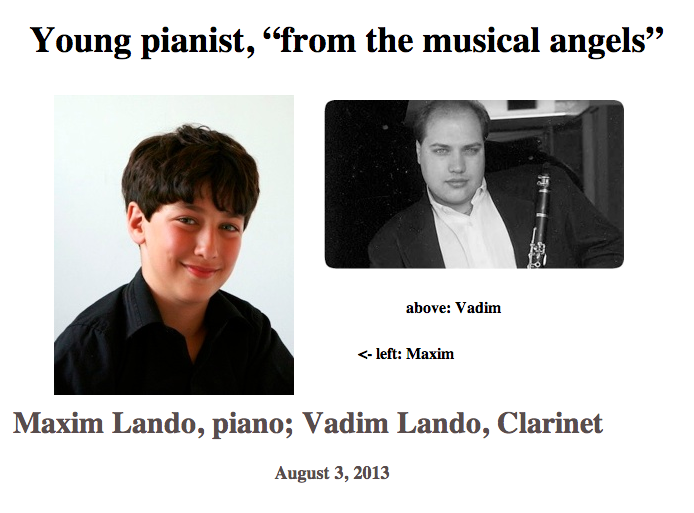 Maxim Lando is a nine year old pianist who loves to make people smile. 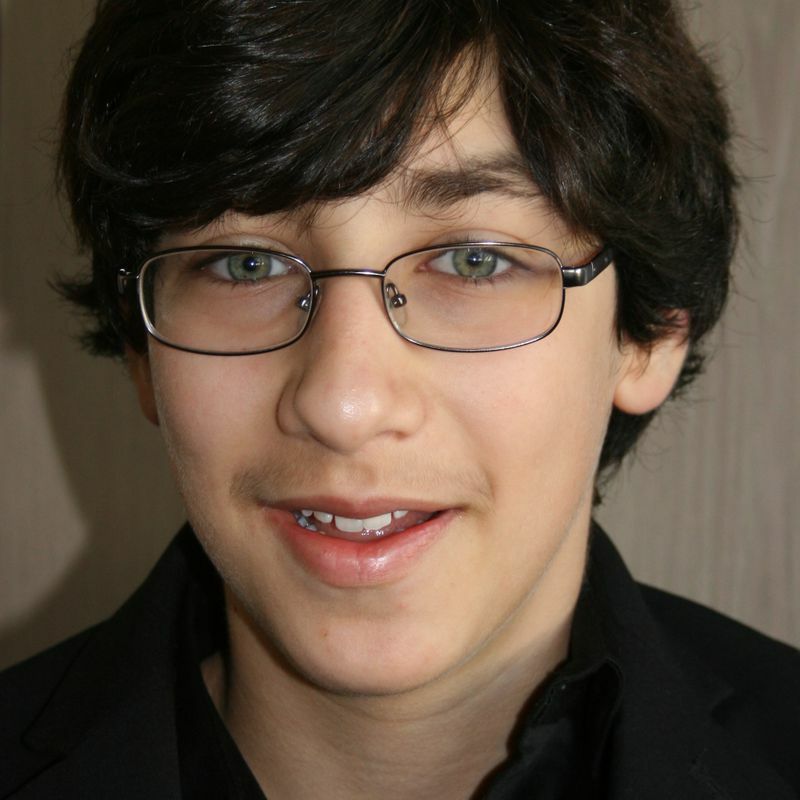 His passion for classical music has already set him on an exciting path of performing concerts, playing chamber music and sharing his absolute joy for music with others. 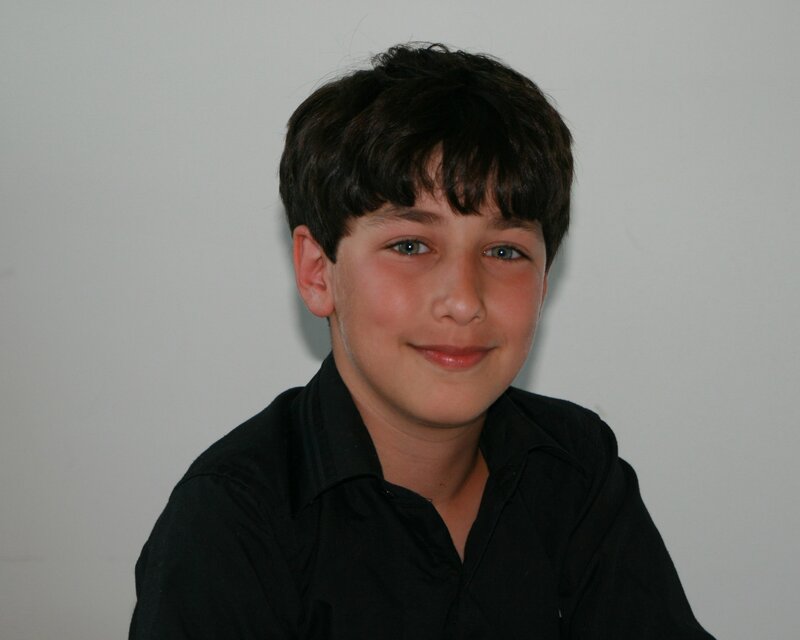 Beginning with his fourth grade peers, Maxim hopes to bring the uniting power of classical music to new and diverse audiences. 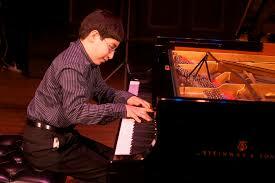 Is Maxim a true piano prodigy child? If you ask us, he is just a great kid and we don’t really like any labels. In almost every way Maxim has the regular life of a nine year old boy. He goes to public school, does his homework, plays with his friends (a lot! ), loves playing ping pong, is trying to learn Chinese, and obviously he really loves music. There are also some things that make Maxim quite unusual. 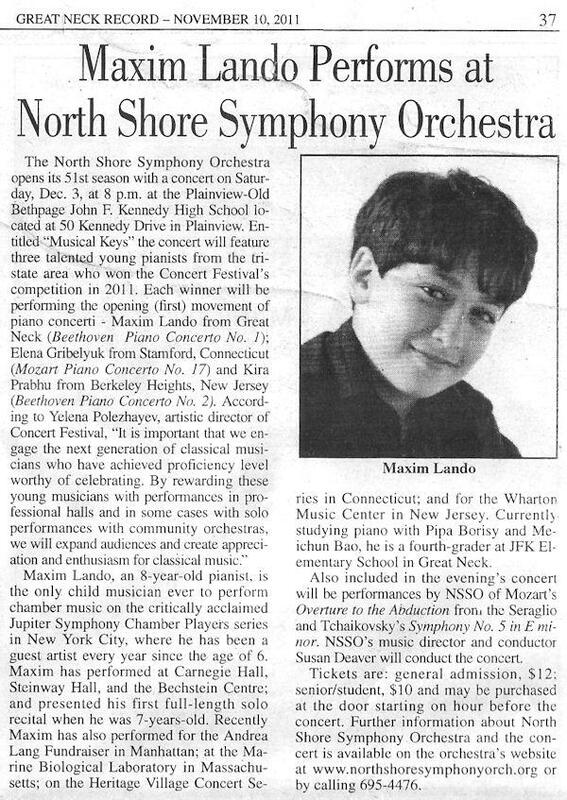 When Maxim was two years old, he would sing favorite parts of extremely complicated classical compositions (he especially loved Carl Nielsen’s Clarinet Concerto), knowing by ear exactly where he was in the music. 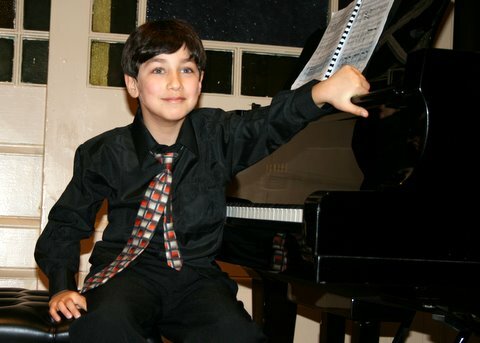 From a very young age he was sensitive to music, always wanting to listen to the great works of Chopin, Tchaikovsky, Rachmaninov and Liszt over and over again (we would want to listen to other music, but he would beg and beg…). 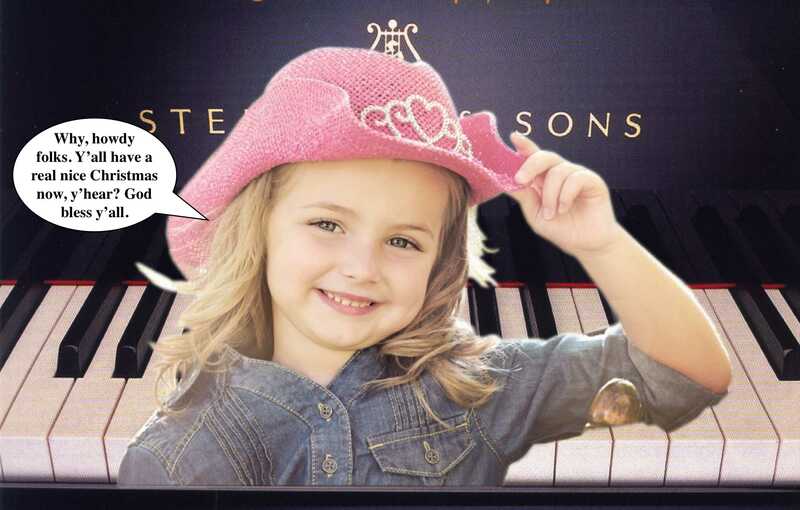 Maxim learned how to read music very early and memorizes complicated scores often overnight. 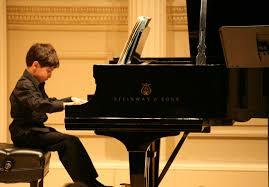 He is passionate about chamber music. In other words, Music has always been a core part of Maxim’s heart. Where will this lead? Who knows? We have no expectations of what Maxim will do with his life. We hope he will do the things he loves to do, care about the world, and enjoy himself. For now he is!